My pal Stiffy is a take charge kind of gal. She doesn't let anything impede her forward progress, including office equipment malfunctions. When this pesky paper shredder jammed up the other day, Stiffy took action to show it who's boss. 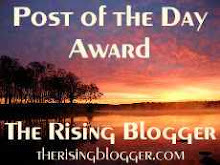 First, she skipped the #1 universal law of unplugging something that uses moving razor sharp blades as part of its core functionality. To save time she also skipped the #2 universal law of do not stick metal objects (in this case scissors) into anything that is still plugged in. 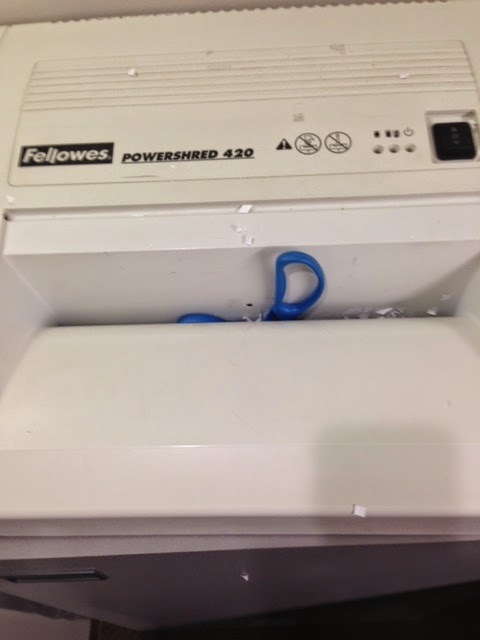 The shredder was apparently agitated with this action as it quickly grabbed the scissors in retaliation. The scissors put up a valiant fight, pushing the stuck paper out of harms way, even as the blades kept whirling. When all was said and done, the jam was cleared, the shredder did not break, and Stiffy did not get electrocuted. 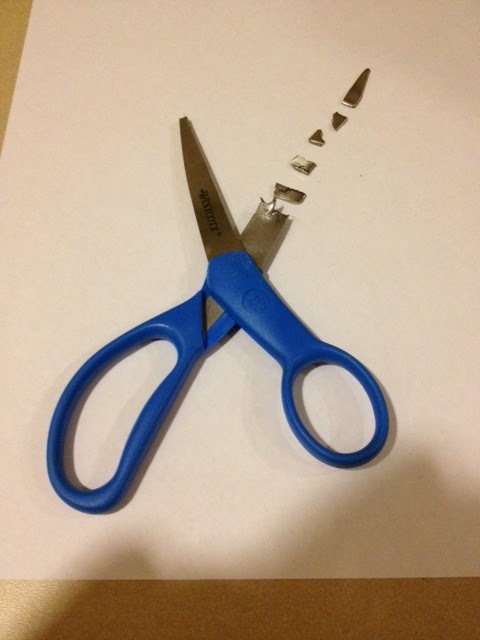 The scissors however, did not fare as well.